Should we lock Canada's Dollar at Par with the American Dollar? By Charles Moffat - February 2008. There are advantages and disadvantages of the above scenario, but the same is true of the current floating dollar. Under the current system Canada's exports to the USA gets hurt if our dollar rises too much and/or too fast. If our dollar drops in value, our exports to the USA will rise over the long term. Back in 2000 86.9% of Canada's exports went to the good ol' US of A. At the time approx. 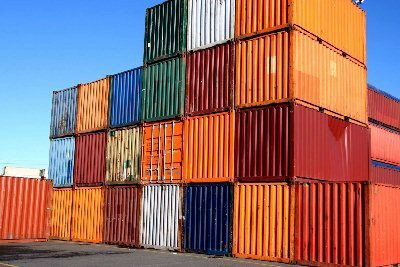 9% of our exports went to Europe and the remainder went to Asia, South America and other continents. By 2006 however that number had dropped to 54.9% as our exports to Asia soared dramatically. China is now Canada's 2nd largest trading partner. We are becoming less reliant on our exports to the USA. Canada's labour force by occupation: Agriculture 2%, manufacturing 13%, construction 6%, services 76%, other 3%. The things Canada exports to the USA (in order of importance) are cars, car parts, minerals/metals, oil, and other high demand goods. In theory we could be sending more to the USA if we had a stable and equitable currency that wasn't fluctuating wildly up and down. But there is a catch. It isn't Canada's currency that is growing stronger or fluctuating wildly. It is America's dollar that is getting weaker. The US dollar is going down the toilet due to the American recession and a complete lack of economic leadership coming from the Bush administration. So the worst thing we could do is lock our dollar to a currency which is growing weaker and weaker. A national opinion poll by the Asia Pacific Foundation of Canada and The Globe and Mail suggests that Canadians believe China holds greater potential for Canadian exports and investment than the United States. Forty-two per cent of respondents identified China as the market with greatest potential, well ahead of the United States at 29 per cent. The next most important markets were Japan, India, Southeast Asia, and the European Union. The poll was conducted between August 2-9, 2006 by The Strategic Counsel on behalf of the Asia Pacific Foundation and The Globe and Mail. Results for the national sample are accurate to within 3.1 points 19 times out of 20. When asked about the importance of different countries/regions for Canada's prosperity and well being, the United States was selected by 89 per cent of respondents, followed by China at 77 per cent, the European Union at 66 per cent, and Japan at 65 per cent. "The poll demonstrates that Canadians are attuned to the rise of China as an economic power. Whether or not China in fact holds greater potential than the United States, Canadians are embracing economic relations with China as a necessary and positive development," said Yuen Pau Woo, Foundation President and Co-CEO. Only 38 per cent of respondents believe that China's growing importance as an economic power is more of a threat for Canada than an opportunity. Seventy-three per cent agree that increased Canada-China trade will "mostly help" Canadian consumers. At the same time, Canadians are concerned about possible job losses due to increased Canada-China trade. Fifty per cent of respondents believe that increased trade will lead to job losses, compared to 43 per cent who think increased trade will create jobs. A sharp regional difference reveals that the fear of job losses is strongest in Quebec, with 61 per cent who believe that employment will be negatively affected. In the rest of the country, there was an even split between those who felt that job losses would dominate and those who believed that there would be jobs gained. There were a number of other striking regional differences in views about China. While Quebeckers were split on whether China or the US holds more potential for exports and investment, the rest of Canada chose China over the US by a margin of 18 percentage points. The gap in favour of China was even larger in western provinces, especially British Columbia, where 57 per cent of respondents said China had the most potential, compared with only 18 per cent who chose the US. Canadian exports to China grew strongly last year despite Ottawa's increased focus on human rights, says Canada's trade minister. Exports rose about 27 per cent according to preliminary figures, International Trade Minister David Emerson said following a ceremony to open a new commercial annex at the Canadian Embassy in Beijing. "We're starting to the turn the corner. It's not where you want it to be, but you've got to start somewhere," Emerson said, referring to Canada's substantial trade deficit with China. Emerson said there have been no signs of Chinese retaliation against Canadian business following a recent meeting between Prime Minister Stephen Harper and the Dalai Lama - the first time a Canadian prime minister has met with the Dalai Lama at federal government offices. China reviles the exiled Tibetan leader as a separatist bent on ending Chinese rule there. Similar meetings between the Dalai Lama and German Chancellor Angela Merkel and U.S. President George W. Bush have drawn political and economic retaliation from Beijing. However, asked if the October meeting had resulted in specific Chinese threats against Canadian business, Emerson said: "None that have been directed at me." "They've been outspoken about that," Emerson said in acknowledging China's irritation over Harper's meeting with the Dalai Lama. "(But) I do not believe that it will fundamentally derail the relationship," said Emerson, speaking at the beginning of a trade mission to China, Mongolia and Hong Kong that winds up Jan. 11. Canada recorded a $26.8-billion trade deficit with China in 2006 against an overall trade surplus of $43.6 billion. "We are of the view that Canada has underperformed over the last 10-15 years in terms of trade with China and our export performance in particular," Emerson said. He said Canada hoped to improve the trade balance with China with agreements boosting air transport, tourism and investment. Emerson plans to visit Mongolia later this week, where mining companies have made Canada the second-largest foreign investor. Emerson is accompanied on the trip by James Moore, parliamentary secretary for the Pacific Gateway and the Vancouver-Whistler Olympics. The trip is aimed at providing an opportunity for Canadian companies to pursue trade and investment opportunities in Asia, particularly in the air services field. Is the American Dollar Worthless? By Charles Moffat - November 8th 2007. I am predicting the Canadian dollar will reach $1.20+ US late in 2008. Perhaps sooner. Sounds shocking when you consider the Canadian dollar was worth approx. 64 cents US in 2002. What we have to remember however is that it is not really the Canadian dollar that has gone up in value, it is the American dollar which has gone down. Since the beginning of the Iraq War the American economy has stumbled and one could make the argument that it is because there is no one at the wheel. Remember when President Clinton would travel around the world on trade missions to help sell American products abroad? When was the last time George W. Bush went on a trade mission? The answer is he doesn't. His mission, since 9/11, has been the undying war on terrorism. A war that can never be won and frankly why would they want to win it when the turmoil it causes raises the price of oil and allows oil companies to reap record profits thanks to shortages? Canada's economy meanwhile is stable. Its safe. 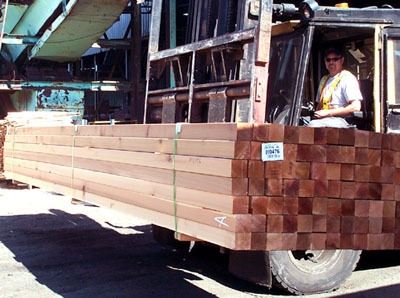 The fact that we also export oil, gold, wheat and lumber means that our economy is always in high demand. In fact our exports have never been higher. In 2007 our exports to China grew 43%. FOURTY-THREE PERCENT. Our dollar has been totally uneffected in overseas exports. 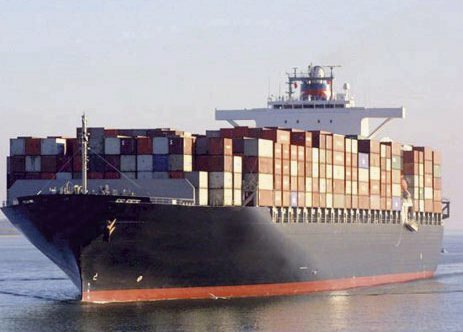 True, our exports to the United States will likely drop as our dollar continues to grow in power, but if the USA doesn't buy our products there are always other countries willing to bid on our oil, gold, wheat and lumber... That is the nature of commodities. People will pay for them regardless. Even if they have to go in debt, which is what has caused the recent problems in the USA. The United States is too dependent on debt. It is a crutch that supports their economy. Credit card debt, car loans, mortgages, business loans, university and college debt. Everyone is up to their necks in it. For housing it is especially common. People need a place to live and nobody wants to rent. The housing shortages are so high that people end up bidding money that they don't have to get their dream home. Its easy to get an $350,000 mortgage on a house worth $300,000, but what happens in 5 years when you need to refinance your mortgage? You'll be fine if the value of your home goes up, but what if it doesn't go up? You can't find a bank that will loan you the money. So whether it is the banks refusing to loan the money or people who are so in debt they can't pay their monthly mortgage payments, the point is Americans have far too much debt. It is a liability and eventually someone has to pay up. So really it is no surprise that the American dollar has slipped in value so much. Too much debt is bound to weigh down a currency and make it practically worthless. There are other reasons for the US dollar's demise: It is no longer the currency of choice for foreign reserves. The Euro, once derided, is now considered to be the currency of choice. Its stable and strong. The people in Europe have a strong economy and they are not so dependent on gasoline because they also have the world's largest train system, a strong belief in bicycles and are starting to build hydrogen fuel cell cars. In 20 years Europe won't even need gasoline. We can't say the same for North America where we cling hopelessly to the internal combustion engine. The cost of oil has soared 40% in 2007, today nearing almost $100 US/barrel. Also today, the US National Debt officially reached $9 trillion dollars. That is roughly $27,000 US for every man, woman and child which will eventually have to be paid back... in taxes. Which means America will be suffering under more debt and taxes for decades to come. There is no doubt in my mind we will continue to see problems and weakness in the American dollar in 2008. Every successful empire brings with it an imperial currency. In Roman times, the denarius dominated trade in what is now Europe. At the height of the British Empire, the pound sterling was literally as good as gold. Similarly, when empires wane, so do their currencies. As Rome overextended itself with military adventures they borrowed money to pay for their expenditures, which in turn devalued the denarius. In 1931, depression-torn Britain officially served notice that its empire was on the rocks when it decoupled the British pound from price of gold. Since then, the U.S. dollar has been the world's currency of choice. Arab princes demanded dollars for their oil, as did Colombian cocaine dealers and illegal arms traders in Africa. When China abandoned Communist-Maoism, it was dollars that Communist authorities wanted in exchange for the exports they sent abroad. Yesterday Chinese central banker Xu Jian announced officially what economists have been saying for years: the US dollar is "losing its status as a world currency." China, he explained, would no longer keep only American dollars in its reserves but would diversify its holdings to include other major currencies. Given that China's central bank holds $1.43 trillion worth of U.S. dollars, that was not an insignificant statement. 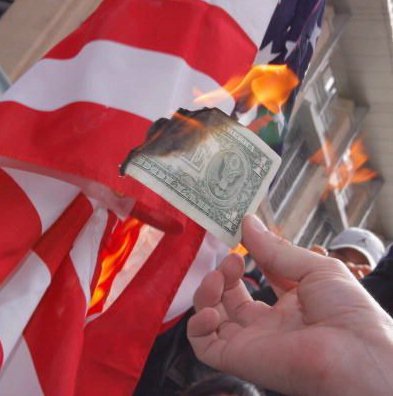 The central bank will slowly be getting rid of that money through financial opportunities, and that in turn will continue to flood the world market with an unseemly amount of American cash. The reasons for the dollar's decline are familiar. Like the Romans and British before them, the Americans have overextended themselves. As a country, they import more than they export. As individuals, they spend more than they earn. As a military, they are fighting more than they can fight. Up to now, these excesses have been balanced by the rest of the world's willingness to hold dollars. China, for instance, was willing to take dollars in exchange for useful manufactured goods because it believed the U.S. currency would hold its value. It is like a giant pyramid scheme when you think about it. As long as everyone believed the dollar was strong, it remained strong. But as soon as a crack appeared, the whole deck of cards starts to crash down. If the American dollar were just America's dollar, none of this might matter. Indeed, a lower U.S. dollar, by boosting American exports, will help the U.S. get through any downturn sparked by that country's housing and mortgage crises. But the U.S. dollar is not just America's... it was basically the world's currency until the Euro appeared. Which means we could be facing a trade war based on fluctuating currencies. As a small trading nation, Canada is sure to be sideswiped in an all-out trade war. Canada depends on a stable international financial system based on a stable international currency, which up until now has been our allies to the south. So forget the minor ups and downs of the loonie. Sure, it matters if the Canadian dollar sits at $1.08 or $0.88, but it matters significantly more if the U.S. dollar itself becomes just plain WORTHLESS. The euro surged to a record high against the U.S. dollar yesterday, touching $1.4731, a 65 per cent gain since the end of 2001. Analysts say the euro has become the main threat to the U.S. dollar's dominance. While political leaders worry its rising value is hurting European exports. The euro made its debut as an accounting currency in 1999 and was put into wide circulation as physical money in 2002. It is the currency of the 13-country euro zone, which includes Austria, Belgium, France, Germany, Greece, Ireland, Italy, Luxembourg, the Netherlands, Portugal, Slovenia, Spain and Finland. In December 2006, the combined value of all euro notes in circulation exceeded that of the U.S. dollar for the first time. French President Nicolas Sarkozy suggested yesterday that currency "disarray" � including a weak U.S. dollar and overvalued Chinese yuan � could lead to "economic war." The once-mighty U.S. dollar risks losing its status as the world's default reserve currency now that China has signalled plans to diversify its $1.43 trillion (U.S.) of foreign exchange reserves, analysts say. The U.S. greenback was clobbered on foreign currency markets again yesterday, tumbling against all 16 of the most-active currencies and setting new lows against the euro and the Canadian dollar during the session. 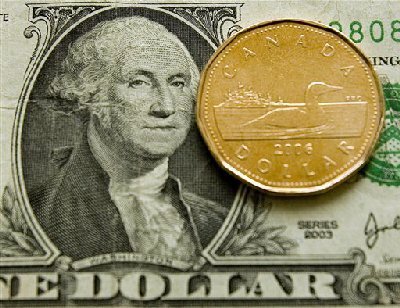 At the close of trading, the U.S. dollar was worth 92.81 cents (Canadian). 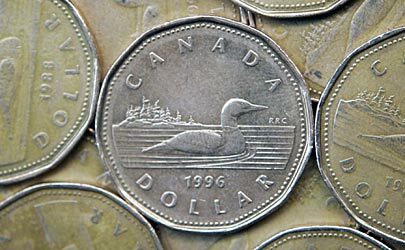 The loonie, meanwhile, suffered a late-day setback, losing 0.77 of a cent (U.S.) to close at $1.0775 as traders took profits. Currency turmoil seeped into other markets as stocks fell on both sides of the border. Toronto's S&P/TSX composite index lost 252.38 to 14.118.18, while the Dow industrials fell 360.92 to 13,300.02. The massive U.S. dollar sell-off was sparked by comments overnight by two Chinese officials suggesting the greenback is losing its global pre-eminence. China is the world's largest holder of U.S. dollar reserves. It also holds roughly 25 per cent of the world's foreign currency reserves, most of it in U.S. dollars. Cheng Siwei, vice-chair of China's National People's Congress, said at a conference in Beijing: "We will favour stronger currencies over weaker ones, and will readjust accordingly." Xu Jian, a vice-director of the central bank who was attending the same gathering, suggested the U.S. dollar is "losing its status as the world currency" and suggested the "world's currency structure has changed." Chinese investors have reduced their holdings of U.S. Treasuries by 5 per cent to $400 billion in the five months to August. China Investment Corp., which manages the country's $200 billion sovereign wealth fund, said last month it may get more of the country's reserves to invest to improve returns. A country typically holds stockpiles of cash in international currencies to support its own currency and exchange rate, and to backstop its liabilities, and as investments. The U.S. dollar has been an international medium of exchange for the last 60 years, said Maurice Levi, professor of international finance at the Sauder School of Business at the University of British Columbia. "Now you've got a serious alternative to that, which is to hold euros. This is a sea of change in the structure of the global system if we do move away from dollars," Levi said. "It's inevitable in a sense. I tell my students that the 18th century was the age of gold, the 19th century was the age of the (British pound) sterling, the 20th century was the age of the dollar and the 21st century is up for grabs, and could easily be the euros." Positive retail sales numbers gave the Canadian dollar another boost Friday to levels not seen since Pierre Trudeau was prime minister 30 years ago, and it may go even higher with the latest speculation that the Bank of Canada could raise interest rates. �It�s been quite the day,� said Doug Porter, deputy chief economist at BMO Capital Markets. 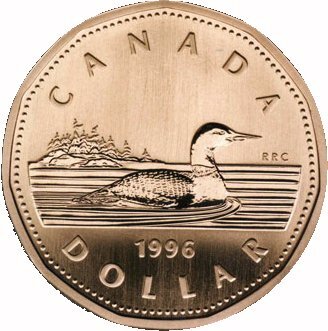 The Canadian dollar closed up 0.77 to 91.79 cents (U.S.), the highest level since Oct. 11, 1977, after Statistics Canada said retail sales surged 1.9 per cent in March to $34 billion - a lot stronger than the 0.7 per cent rise economists had expected. The dollar had flirted with the 92 cents barrier all day, reaching as high as 91.94 cents. The currency�s gain came on the heels of a 0.43-cent rise Thursday with more news of the Canadian economy firing on all cylinders with a better-than-expected inflation report for April. The combination of strong economic data and the recent spike in energy and commodity prices is being seen as putting the Bank of Canada under pressure to raise interest rates after holding its policy rate unchanged at 4.25 per cent since last May. 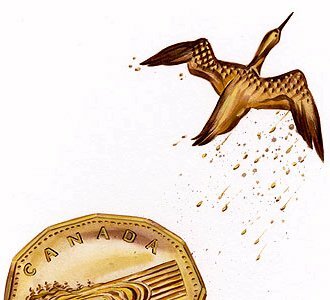 Economists are wondering how high the loonie is going to go. �That�s the $64,000 question,� said Porter. �Once it broke through the 91-cent barrier it was just off to the races for the currency,� he said. 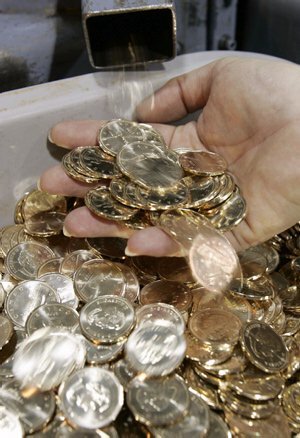 It likely won�t reach par with the U.S. greenback or go much above 96 cents because the Bank of Canada and financial markets would likely step in to protect manufacturers, who suffer when the loonie gets too high, said Craig Alexander, deputy chief economist for TD Bank Financial Group. �It could easily reach 96 cents but parity would be a huge shock for exporters,� he said. �Right now it�s a boon to Canadian households because the price of clothing and footwear imported into Canada just got cheaper,� Alexander added. However, the stock market isn�t that happy with the latest spike in the currency as a higher dollar makes it tough for exporters such as manufacturers and forestry companies. Toronto�s S&P/TSX composite index added 4.63 points to 14,105.34. Energy, mining and telecom stocks gained while financials dragged ahead of quarterly earnings reports from the big banks coming down over the next couple of weeks. Despite the lacklustre showing, the TSX managed to exploit a small breakthrough past the 14,000 mark this past week, gaining 101.52 points. �I think what we have from a big picture is we are still very clearly in an upward trend,� said Julie Brough, assistant vice president at Morgan, Meighen and Associates. The TSX Venture Exchange was up 43.05 points to 3,279.6. On Wall Street, the Dow Jones industrial average rose 79.81 points to 13,556.53 after the University of Michigan index of consumer sentiment for May came in at 88.7, higher than expected. Another indication of firm U.S. consumer spending came as retailers J.C. Penney, Kohl�s and Nordstrom posted earnings that surpassed Wall Street projections. The Nasdaq composite rose 19.07 points to 2,558.45 and the S&P 500 index gained 10 points to 1,522.75. Microsoft Corp. said Friday it will purchase online advertising firm aQuantive Inc. for $6 billion (U.S.) in cash, while General Electric Co. was reported to be near an agreement with a Saudi industrial giant to buy GE�s plastics division for $11 billion. On the TSX, the financial sector was down 0.6 per cent with TD Bank (TSX:TD) off 46 cents to $70.39 (Canadian) and Bank of Montreal (TSX:BMO) losing 31 cents to $69.09. The energy sector was up 0.8 per cent. The June crude oil contract on the New York Mercantile Exchange was up eight cents to $64.94 (U.S.) a barrel. Petro-Canada (TSX:PCA) advanced 66 cents to $54.30 (Canadian). Shares in Imperial Oil (TSX:IMO), a major player in the proposed Mackenzie Valley gas pipeline, jumped $1.28 to $49.99 after the head of an aboriginal consortium involved in the project said the federal government is considering at least a partial buyout of the energy companies involved. On the TSX, advances beat declines 932 to 689 with 203 unchanged as 338.3 million shares traded worth $5.7 billion. Vasogen Inc. (TSX:VAS) stock tumbled 49 cents or 13.9 per cent to $3.03 after it arranged with institutional investors to raise $16 million (U.S.) selling common shares at $3.25 each, plus warrants to raise additional $11.7 million. Shares in cigarette maker Rothmans Inc. (TSX:ROC) surrendered 76 cents to $22.58 (Canadian) after its latest quarter�s profit rose to $18 million from a year-earlier $16.4 million while sales volumes slipped. Toymaker Mega Brands Inc. (TSX:MB) swung to a first-quarter loss of $23.9 million (U.S.) following an additional $35.2-million charge for the partial recall of Magnetix building sets blamed in a child�s death. Its shares added 32 cents to $21.05. China announced Friday it has widened the daily trading limit for the yuan against the U.S. dollar. American officials hope a stronger yuan will help to narrow the multibillion-dollar American trade deficit by making Chinese goods more expensive. China has also raised interest rates for the fourth time in a year in a renewed effort to cool its sizzling economy. The Toronto stock market finished the session and the week higher Friday as U.S. data provided reassurance on the economy and Stelco Inc. (TSX:STE) shares jumped after the steelmaker confirmed it�s for sale. The Canadian dollar also topped 94 cents (U.S.) Friday and some economists believe it will hit par with the U.S. greenback by year�s end. Stelco made huge gains on the market Friday, surging 18.7 per cent to close at $31.20 after disclosing it is reviewing �strategic options� amid consolidation in the global steel industry. Ian Nakamoto, director of research at MacDougall, MacDougall and MacTier said the news shouldn�t come as a surprise. �There doesn�t seem to be a role for an independent steel company to survive. You have to be part of the big global players or you�ll be marginalized,� he said. New York markets also rose higher on the positive news on U.S. job creation, manufacturing and spending but off early highs with key indexes hitting new all-time highs. Toronto�s S&P/TSX composite index advanced 62.59 points to 14,119.37, led by advances in energy and mining stocks, for a gain of 95.3 points this week. The TSX Venture Exchange gained 33.18 points to 3,274.87. The Canadian dollar continued to strengthen following the Bank of Canada�s indication earlier in the week that it will likely raise interest rates later in the year to deal with inflation. The currency was up 0.73 of a cent to 94.22 cents (U.S.), its highest level since July 1977, and economists expect it to head higher. At one point in the session, the currency hit 94.36 cents. CIBC World Markets predicted that the dollar will be worth as much as the greenback by the end of the year. It is already up about nine per cent this year. In New York, the Dow Jones industrials moved up 40.47 points to another record high of 13,668.11 after the U.S. Labour Department reported that the economy cranked out 157,000 jobs in May, the most in two months. Economists had been looking for 140,000 jobs. The unemployment rate held steady at 4.5 per cent. Also, the Institute for Supply Management manufacturing index hit 55 in May, above the April reading of 54.7 and higher than the market�s expectation of 54. It was the fourth consecutive month of growth in the index which tracks factory activity. The Nasdaq composite index rose 9.4 points to 2,613.92 and the S&P 500 index gained 5.72 points to a new record high of 1,536.34. In other economic news, the Commerce Department reported Friday that American incomes slipped 0.1 per cent in April, while consumer spending rose by a strong 0.5 per cent. On the TSX, the energy sector rose one per cent as the July contract for crude oil on the New York Mercantile Exchange added $1.07 to $65.08 a barrel. Petro-Canada (TSX:PCA) advanced $1.13 to $55.10 (Canadian) while Suncor Energy (TSX:SU) improved $1 to $93.89. Paramount Resources Ltd. (TSX:POU) is selling oilsands leases and natural gas assets to MEG Energy Corp. for $301.7 million in cash and shares. Its units fell $2.24 to $24.41. The mining sector rose 0.87 per cent as Aur Resources (TSX:AUR) moved ahead $1.44 to $31.30 and Sherritt International (TSX:S) advanced 33 cents to $15.23. The August bullion contract on the New York Mercantile Exchange climbed $10.20 to $676.90 (U.S.) an ounce, taking the gold sector up 1.44 per cent. Goldcorp Inc. (TSX:G) gained 31 cents to $26.04 (Canadian). Support also came from the TSX industrials sector where Bombardier Inc. (TSX:BBD.B) continued on a roll after a solid earnings report earlier in the week. Its shares moved up 22 cents to $5.54. The market was held back by a dip in the tech sector with Cognos Inc. (TSX:CSN) down $1.22 to $41.42. There was also some weakness in the financial sector as shares in Laurentian Bank (TSX:LB), Canada�s seventh-largest chartered bank, declined 14 cents to $34.31 after it said its second-quarter profit declined to $20.7 million from a year-earlier $24.6 million, when there had been an unusually large tax gain. Revenue increased by 11 per cent to $145.7 million. On the TSX, advances beat advances 23 to 641 with 238 unchanged, as 401.6 million shares traded worth $7 billion. Quebecor Media Inc. (TSX:QBR.B), owner of the Sun tabloid newspaper chain, is buying Osprey Media Income Fund (TSX:OSP.UN) in a deal worth $517 million, including debt. Quebecor is also taking subsidiary Nurun Inc. (TSX:NUR) private and has launched a national classified network called Classifiedextra.ca, integrating more than 200 daily and community newspapers and Canoe.ca network. Quebecor shares were down 18 cents to $38.10. Shares in Railpower Technologies Corp. (TSX:P) tumbled 20.9 per cent to 43.5 cents as it announced it is recalling 59 of its Green Goat yard switcher locomotives after a fire in one of dozens sold. The company�s newer product, the Road Switcher fleet of over 100 vehicles in operation or on order, is unaffected by the recall. Shares in Labopharm Inc. (TSX:DDS) plummeted 52 per cent to $3.22 after the company received a second �approvable� letter from the U.S. Food and Drug Administration concerning its once-daily formulation of the painkiller tramadol, saying the company has not demonstrated the efficacy of the drug. STEVEN THEOBALD - May 2nd, 2006. Donald Coxe moved to what some thought the lunatic fringe of forecasters in 2003 when he predicted publicly that the Canadian dollar would reach par with the greenback within five years. "Not all the disdain was polite," said Coxe, Chicago-based global portfolio strategist for BMO Financial Group. But he's getting the last laugh. The hard-charging Canadian dollar is prompting an increasing number of mainstream thinkers to predict parity with the United States. The dollar has been on a tear for a month, gaining nearly five cents and hitting 26-year highs. Coxe, who bases his forecasts on five-year outlooks, remains one step ahead of the pack. "I changed my forecast three months ago to now say it will trade well through par." The main story is that investors will continue to punish the U.S. dollar for the huge inflows of foreign capital the economy needs to fund ballooning trade and government budget deficits, Coxe said. The Chinese and Japanese central banks alone have purchased $1.3 trillion (U.S.) in government Treasury bonds and mortgage-backed securities in the past four years, he added. "There is no obvious reason why people would want to hold U.S. dollars," Coxe said. "It also helps that Canada has a fundamentally good story of its own." National Bank Financial saw the writing on the wall and upgraded its exchange rate forecast yesterday. Last December it had predicted an average of 86 cents this year, and perhaps parity five years out. 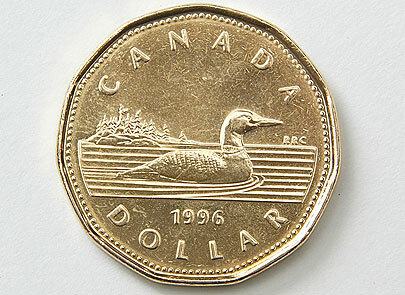 It now expects the loonie will reach parity with the U.S. dollar by the fall of 2007. As Coxe argues, external factors will be the key drivers, said National Bank chief economist Cl�ment Gignac. "Our long-standing, secular optimism about the Canadian dollar is well known," wrote Gignac in an email to clients. "Even if profit-taking on the currency could be seen after the nice run-up in April, we believe that the stars will align for a Canadian dollar at par with the U.S. dollar well before our initial target of 2010." Though global imbalances will cause the greenback to weaken further � foreign investors are sending $2.5 billion (U.S.) a day to the United States � Canada offers a safe haven. Exporters, which have been raising their productivity through both heavy investments in new machinery and equipment and by trimming payrolls, may be losing sleep at the thought of a dollar at par. But firms are coping quite well, Gignac said, citing a recent KPMG survey that claims, even with an 85-cent loonie, domestic businesses have the lowest operating costs among the G-7 industrial countries and that the exchange rate would need to hit 98 cents for costs to be as expensive as those in the United States. Also, pre-tax corporate profits as a share of GDP hit 14.6 per cent in the final three months of 2005, an all-time high. National Bank expects Canada's trade surplus will remain between 4 and 5 per cent of GDP, helped along by improving relations with the United States. The biggest risk to the loonie reaching parity is a possible sharp drop in commodity prices or a recession in the United States, started possibly by a severe correction in real estate prices, Gignac said. Canada's booming real estate market ought to benefit as the surging loonie puts downward pressure on inflation and interest rates. Was it really 28 years ago? The dollar was trading above the 90-cent (U.S.) threshold Tuesday, marking its highest level against the American greenback since Jan. 26, 1978. Some will remember 1978 like it was yesterday. For others, it�s ancient history. Was 1978 really the year Sony introduced the Walkman, the first personal portable tape player? You�re old, dude, if you remember that one. If you were a movie-goer, you might have been storming the box office to see John Travolta get slicked up in the hit movie Grease, or watch Superman fly off with Lois Lane in the first incarnation of that blockbuster. But it was Woody Allen�s iconic film Annie Hall that took the Oscar that year as Best Picture. On the music scene, the Eagles were thrilling fans with Hotel California, which was named Record of the Year at the Grammy Awards. Are you having flashbacks now? For example, does the name Jim Jones still bring a sick feeling to your stomach? Jones was the cult leader who led his followers to commit mass suicide in November 1978 in Jonestown, Guyana, when 912 supporters drank and died from cyanide-laced punch. Jones died the same day of a bullet wound in his head. In Ottawa, Pierre Trudeau was serving as the Canadian Prime Minister, while Jimmy Carter was in the Oval Office. And if you were a Montreal Canadiens fan, you were celebrating the Habs� Stanley Cup victory over their arch-nemesis the Boston Bruins. In tennis, Martina Navratilova and Bjorn Borg ruled the grass at Wimbledon. In baseball, the Yankees were (what else is new?) the elite of baseball, winning the World Series. In football, the Dallas Cowboys beat the Broncos in the Super Bowl. On the news front, two popes died in the Vatican that same year. Pope Paul VI died at age 80, and in a shocking turn of events, his successor, Pope John Paul I, died at age 65 after only 34 days in office. Closer to home, the front page of the Toronto Star on Jan. 27 wasn�t dominated by news of the dollar. The main story chronicled the paralyzing storm that was called Metro�s meanest winter wallop. Across Ontario, nine people died as a result of the snowstorm that socked us with 120 km/h winds. To read the news on the newsstand, the Star would have cost you 15 cents. Other things were also cheaper back then. If you were in the market for a new home, you might have been pulled in by an advertisement in the Star by Heron�s Hill Homes. That builder was offering semi-detached homes and townhouses in Scarborough for $56,900.